This past Friday I got done with work early so Sarah and I loaded Sam up to take him to Mt. Lemmon for a hike. Sam is 130 pounds of thundering mass. Goes from walking to full tilt in the snap of the fingers. When he runs, dirt flies everywhere, the ground vibrates as he thunders past, jowls flapping in the wind, exposing his rather large and shiny teeth from across the yard. Of course if you’ve never seen this then you 1. Don’t have a 130 pound Great Dane and 2. need a bigger yard if you do have a Great Dane. He also goes from full tilt to dead tired in about 4 minutes. I’ve seen him run, I have no idea why we took him on a hike. Shortest hike of my life. Sam made it maybe 1km into the trail. Maybe. 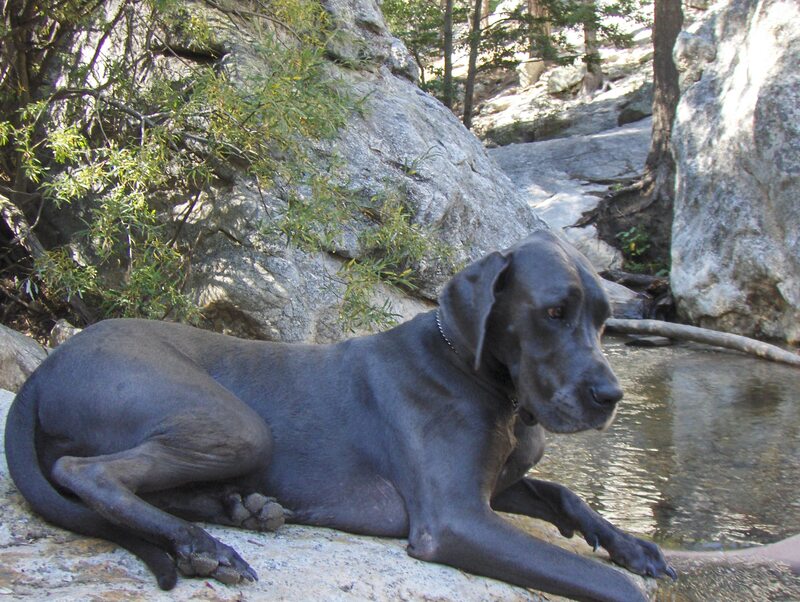 When you are 130 pounds of Great Dane though, that might be good. That was it, we stopped to get the water bottle out for him and he layed down. Done. Finished. Dog tired. His Tongue Meter (highly scientific tool to evaluate if a dog is tired) was hanging out. 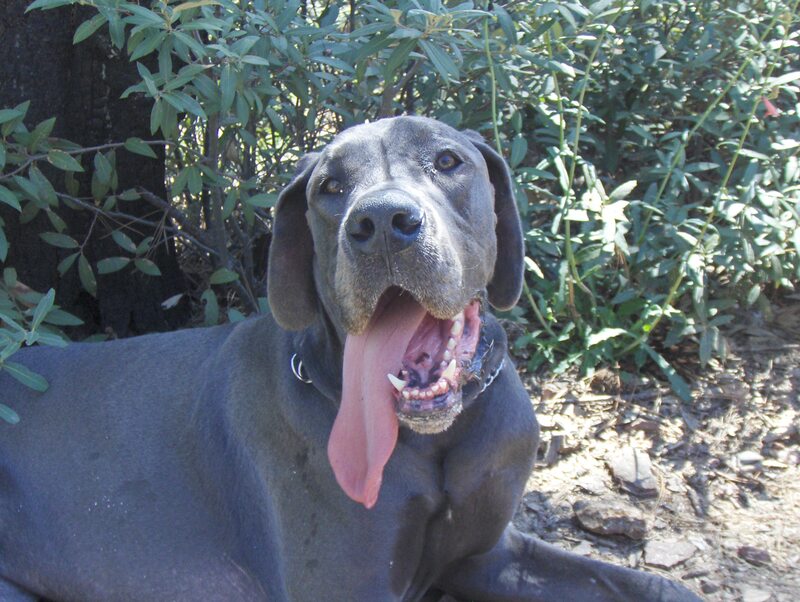 I’ve never seen a tongue that big before on a dog. Or a human. Imagine French kissing that. Maybe a nice swim in one of the many pools still left near the top of Mt. Lemmon would cool him off. All dogs love water, at least the last few I’ve owned did. Nope. Turns out he is afraid of water. Stuck his paw in and said “hell no, it’s cold”. Still turned out to be an awesome afternoon. You can’t beat a short hike then a nap with your feet dangling in a pool of cold water. Good looking dog. 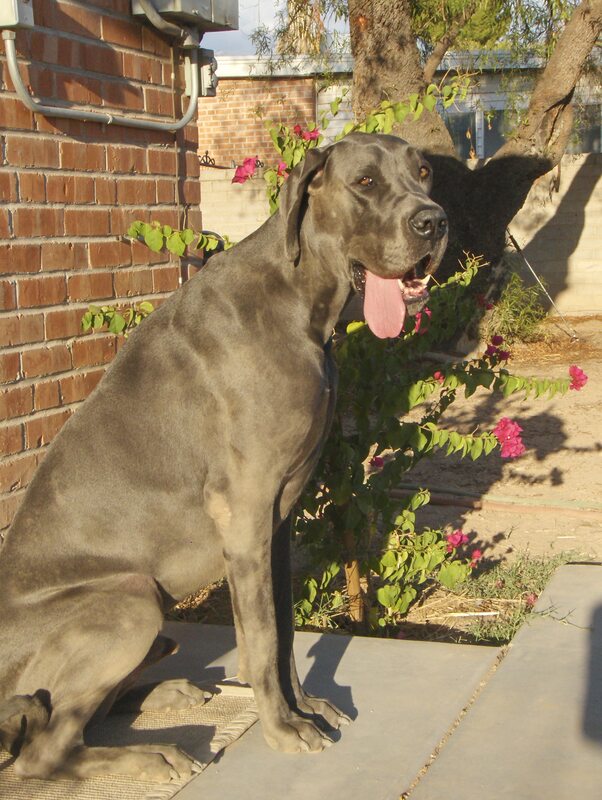 My mother in law has a Dane names Joules (rhymes with drools)…she is a fantastic dog.